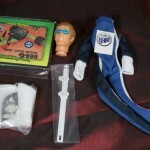 Secret Origins of the 1/6th Scale Superheroes– Which details Mego’s 12 inch Superhero figures and includes shots of rare packaging variants from around the world and insight from the line’s creator on the Mister Fantastic mystery. Six Monsters, A Girl and a Mailer Box– A look at the Lincoln International Monster figures. 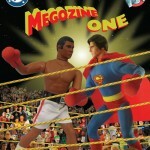 Aw Yeah Megos!- Interview with Eisner award winning CD Comics artist and author Art Baltazar about his passion for custom Mego figures. A never before seen Mego Superhero Prototype figure of the Lou Ferrigno Hulk! 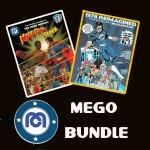 All that and an exclusive Megozine sticker and a new Museum trading card!
? Mego hadn’t passed on Star Wars?
? There were additional waves to the World’s Greatest Superheroes line?
? The KISS dolls were 8″ tall so you could use them on other adventures?
? Scooby and the Gang got in on the fun?
? 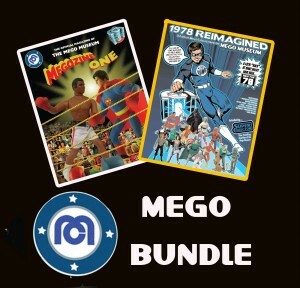 These are just some of the answers the MegoMuseum community tries to provide with their newest publication “1978 REIMAGINED” a full color fantasy catalog created entirely by the members of the MegoMuseum forums! The project started as a challenge to our customizers to come up with concepts that may have been included and were then judged by a panel including former Mego Employees. 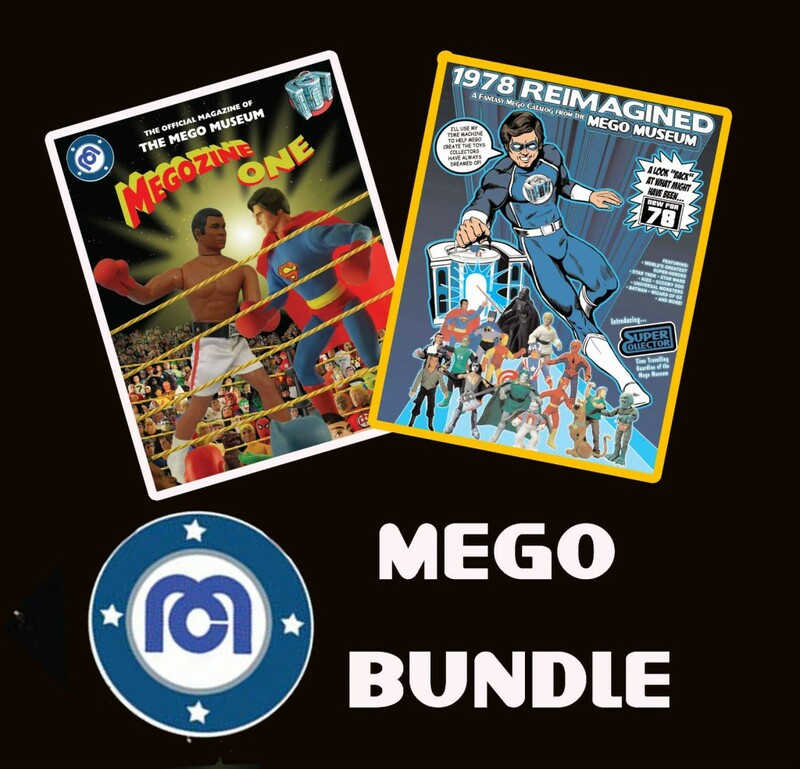 The end result is this fantastic publication with artwork by Anthony Durso, which provides full color pages of fantasy Mego catalog layouts for Star Wars, the World’s Greatest Superheroes, Star Trek, Universal Monsters, Wizard of Oz and much more. It’s a tribute to the World’s Greatest Toy Company and to the many talented customizers we have in our fold. Shipping to the US is $3.70 and it goes small parcel airmail. I do ship international but you’ll pay slightly more (cause I do). Shipping is done roughly 48 hours after successful payment is made. 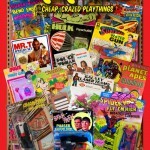 Also check our listings for our newest publication “Rack Toys: Cheap Crazed Playthings” the new 144 page Full color book that celebrates the fun toys produced by Azrak Hamway, Mego, Tomland, Imperial Toys, Fleetwood and others.